One of the Algarve’s best-kept secrets is located in a lovely old property in the heart of the unspoilt countryside near Paderne, just north of Albufeira. The Galeria Corte Real is an art gallery for art lovers. The very friendly owners Pedro and Michael work directly with carefully selected artists and promote affordable contemporary art from international painters as well as some eclectic pieces from local artists. 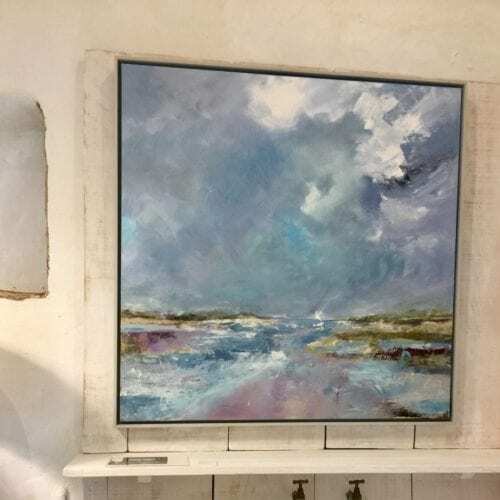 Walking into the gallery is like walking into a colourful painting; with other enchanting objects such as postcards, books, ceramics and glassware spread here and there. Being a favourite haven away from the hustle and bustle of the south coast of Portugal, we visit often. Before or after the beach, the gallery’s shady pergola provides a great place to sit and chill, drink a cup of coffee or sip a glass of wine. And then spend a long time browsing. 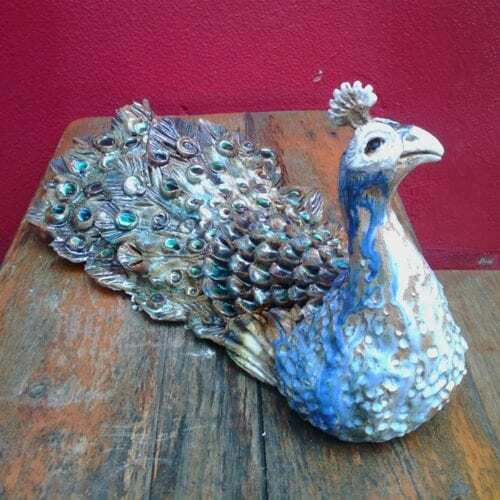 It’s definitely an unusual experience out of the usual touristic Algarve route and a special place to buy some exquisite gifts to take home. Located off the beaten track, follow the “Corte-Real” signs from the village of Paderne in Central Algarve. Open Thursdays to Sundays, 11:00-17:00 hours. 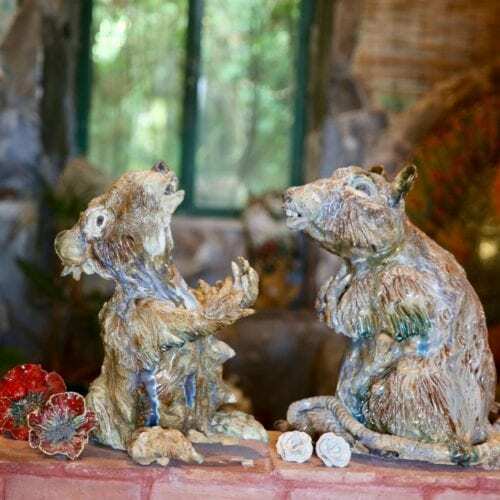 On entering Studio Bongard (off the main access road into Ferragudo) one is immediately transported into a magical grotto of water features and whimsical creatures, old doors and overgrown plants. 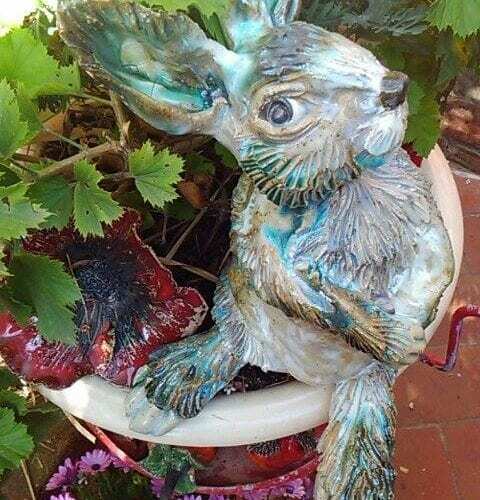 Here Tara and Sylvain transfer their love of local fauna and flora into fantastic clay stoneware sculptures, little and large. Their art is charming! And witty! 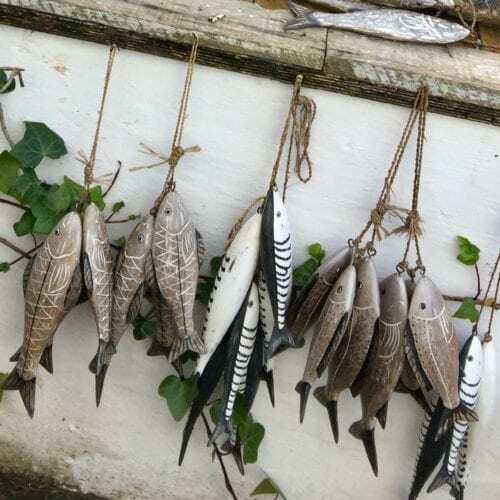 And their tableware range of fish, birds, flowers and local fruits are just some of the unique pieces that will easily fit inside a suitcase and make a wonderful talking point when placed at the centre of your dinner table. Or get a larger piece shipped home. Studio Bongard is located at Rua Infante D Henrique, 62 in Ferragudo. Open Monday to Friday 10:00-17:30 hours and Saturdays 10:00-14:00 hours. 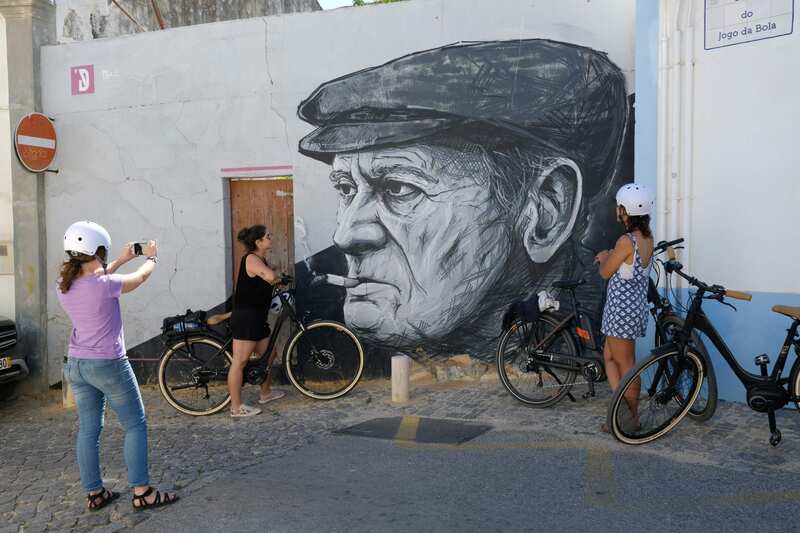 Not so well known either, Lagos on the western end of the Algarve has a thriving urban art scene. 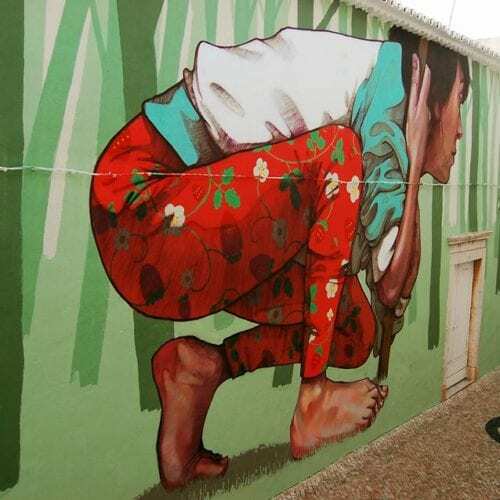 This is mostly thanks to LAC (Laboratorio de Actividades Criativas), a cultural association with its headquarters inside the town’s old jailhouse, who is responsible for bringing some of Europe’s best-known street artists to Lagos to create and exhibit their works. You can spend a few hours walking around the town looking out for its street art pieces, stop for a cold beer at one of Lagos’s many watering holes, and then go and explore a little further. Probably the best place to start your graffiti hunt is at the LAC building where you can get a local map of where to find the various murals spread around the town. Although the interior of LAC is also worth a visit and you just don’t know what you might find – the internal walls of the building are painted white each August to prepare them as “canvases” for the visiting artists. LAC’s doors are generally open most weekends but the association is not manned all the time, so do call ahead to check opening times. One of our favourites murals in Lagos is the very colourful “Meeting the God” created by Polish street artists Bezt, which is located at Rua Lancelot the Freitas, just in front of the local cultural art centre. 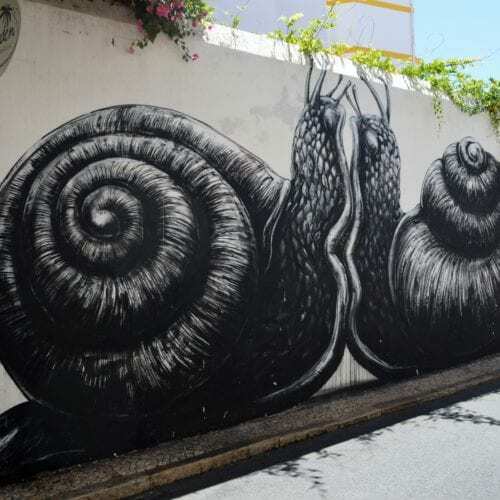 But we also love the pieces by ROA, a Belgian artist famous for his large-scale black and white animal paintings like the “mating snails”. LAC is located at Largo do Convento de Nossa Sra. da Glória, Lagos.